Professor Meyerhoefer’s research focuses on the economics of health and nutrition, much of which involves the use of microeconometric methods to evaluate and inform public policy. He has research spans the fields of economics, health services research, and health policy. 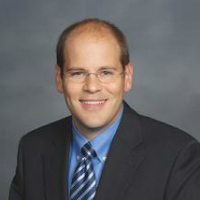 Some of his current research projects include: (1) examining the relationship between food assistance programs and health; (2) predicting the medical cost of obesity; (3) estimating the price responsiveness of consumer demand for medical services, and; (4) determining the impact of electronic medical record adoption on pregnancy outcomes. This research has been published outlets such as the American Journal of Agricultural Economics, Journal of Health Economics, Journal of Development Studies, Health Affairs, Health Economics, Health Services Research, and Pediatrics. Prior to joining the faculty at Lehigh, he served as a research economist at The CNA Corporation and the U.S. Agency for Healthcare Research and Quality.